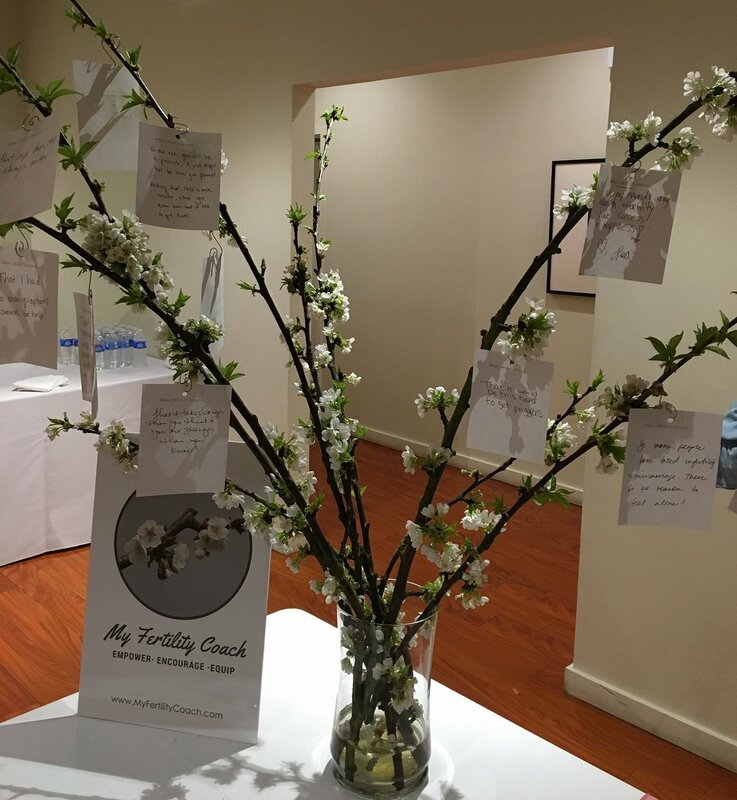 I had the privilege of sharing the My Fertility Coach story at a Chicago-area infertility support event during National Infertility Awareness Week. It was a beautiful night of camaraderie, pampering, and information sharing. I loved the energy in the room and hearing so many "yes, I absolutely get that" comments. You see, we do a lot of coping with infertility alone. And, as we've heard before, we don't have to do that. For many of us, we still can't quite open up all the way. There is still a lot of wisdom and connection you can find without having to be widely open and public about your struggle. To that end, I wanted to share some thoughts from the attendees of this beautiful event. At my table, I asked ladies to write down something they know now about fertility that they wish they'd known earlier. That your mind, positive thoughts, & mental well-being are equally - if not more - important than your physical actions. It's a marathon, not a sprint. Take a moment. Take your time. In the end, you will be a parent - it just might not be how you planned. Holding that child is even sweeter, when you know how much it took to get there. So many people have faced infertility and miscarriage. You are not alone. There is so much information out there. I wish I wasn't so afraid to look for support. It doesn't have to be a lonely journey. I hope these thoughts are helpful, reassuring, and empowering for you. If you'd like something to print out as a visual reminder of this wisdom from your TTC sisters, here you go. What do you know now that you wish you'd known at the beginning of your fertility journey? Please share in the comments below. I'd love to help you turn these lessons into a more positive family building experience. To learn how to use what you've learned so far to fuel you to a positive, empowered, and hopeful path to your baby. You can learn more about my coaching services here.